Here's How Big North Korea's Latest Nuclear Test Actually Was : The Two-Way Seismic and satellite data reveal the test was a whopper, further bolstering the North's claim that it tested a hydrogen bomb. North Korea has conducted six nuclear tests. 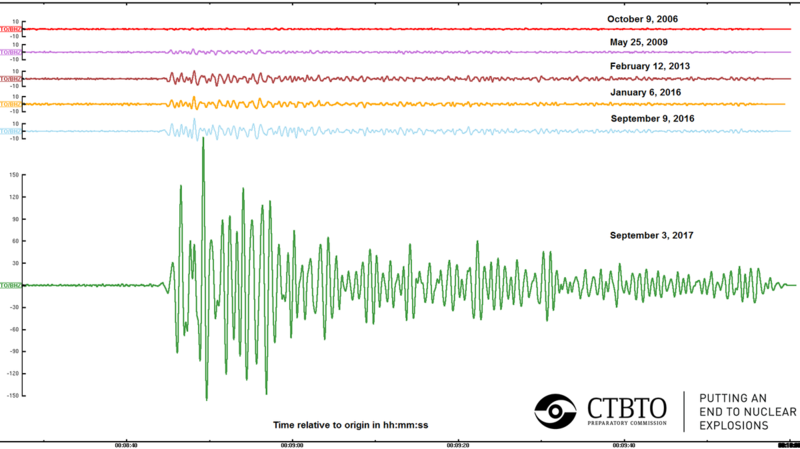 As this chart of seismic activity shows, the latest test on Sept. 3 was roughly an order of magnitude larger than earlier ones. The network is run by the Comprehensive Nuclear-Test-Ban Treaty Organization (CTBTO), a U.N.-affiliated group devoted to monitoring for illicit nuclear tests. While the test ban treaty itself is not yet in force, the United States and other nations fund the monitoring network. 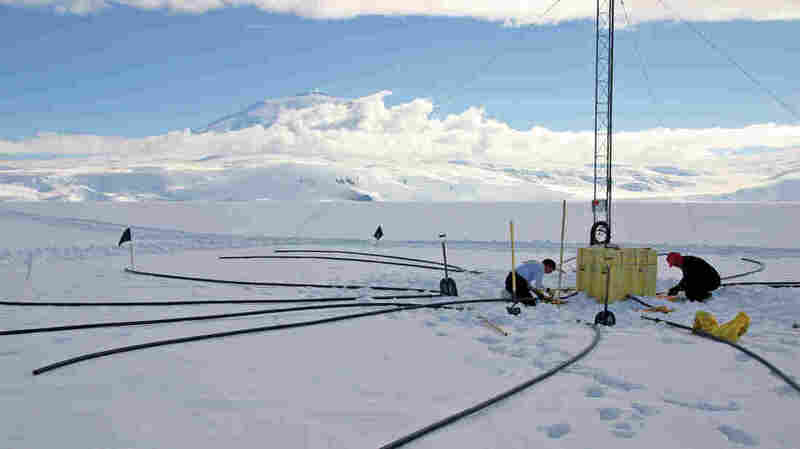 Remote monitoring stations, such as this one in Antarctica, keep constant watch for nuclear tests. The shaking was also reportedly felt in China, and satellite photos show the explosion also triggered rock slides near the test site. Independent estimates have put the test in the range of 120 kilotons to 160 kilotons. Friday, in an unusual move, the CTBTO provided it's own yield estimate of 100-600 kilotons (small uncertainties in the size of the shaking creates large uncertainties in the size of the bomb itself). That's more consistent with a powerful thermonuclear weapon than with a conventional fission bomb. The North has claimed it conducted a hydrogen bomb test. The organization continues to monitor for other signatures from the blast, including trace amounts of radionuclides that could have leaked from the site of the test. These radioactive gases could provide clues about the type of bomb that was tested. 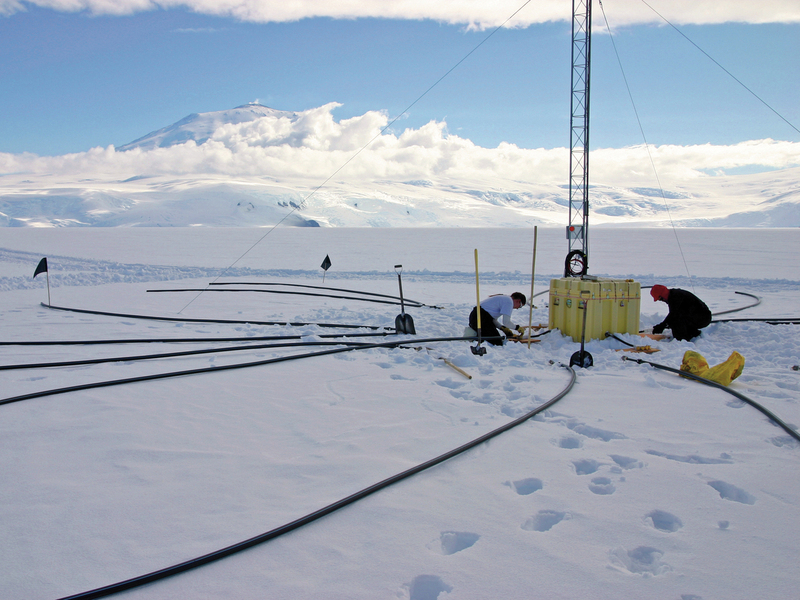 Weather models suggest that the gases could be detected in the coming days.